Summer is officially over and fall is underway. School is back in session and we await the change of season. That is, everywhere but California. Here is Los Angeles, it is still over 90 degrees and sometimes that makes it hard to get into a work frame of mind. So why not head to Viviane Restaurant in the Avalon Hotel in Beverly Hills for an afternoon. If enjoying breakfast or lunch outdoors with a view of the pool is not incentive enough, perhaps the new extended happy hour menu will be. Welcome fall with Chef Michel Hung’s daily happy hour menu. Every day (all seven in the week), happy hour is offered from 2:30pm – 7:30pm. 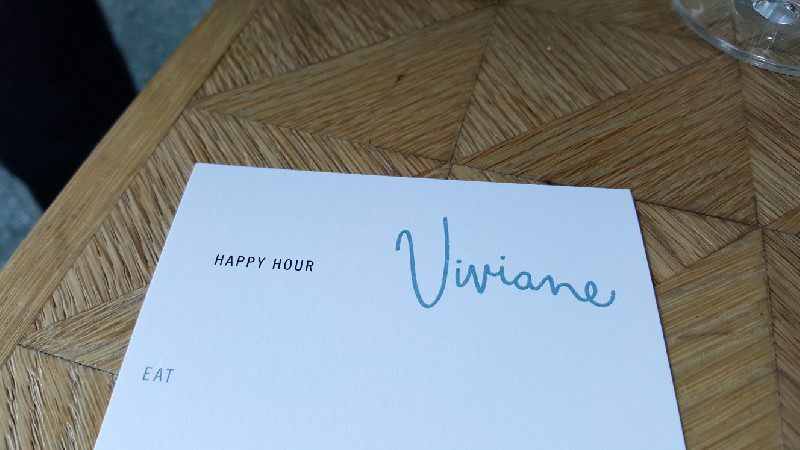 So whether you have the luxury of having your afternoons free, are looking for somewhere to go after work or want to relax with friends during the weekend, Viviane is the answer.